When envisioning a stunning landscape, Guelph property owners can trust Pro Landscaping to make this vision come to life. Our team of highly skilled project consultants will work with you every step of the way to make sure that you’re left with a beautiful and lively outdoor space. Pro Landscaping offers expert services and craftsmanship for stonescaping, tree and sod maintenance, and garden design. Client satisfaction is our utmost priority, and we are fully dedicated to transforming your home or business exterior into an eye-catching outdoor retreat. Whether you’d like a simple garden design or an intricate stone walkway, Pro Landscaping is pleased to offer their expertise. When it comes to exterior design and landscaping, Guelph homeowners are faced with many options. 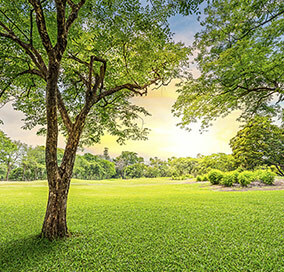 Our years of experience combined with our superb attention to detail set us apart from our competition, and our client testimonials demonstrate that we’re the #1 choice for Guelph landscaping services. No matter how complex your vision for a beautiful exterior is, Pro Landscaping is more than happy to work with you to create it.